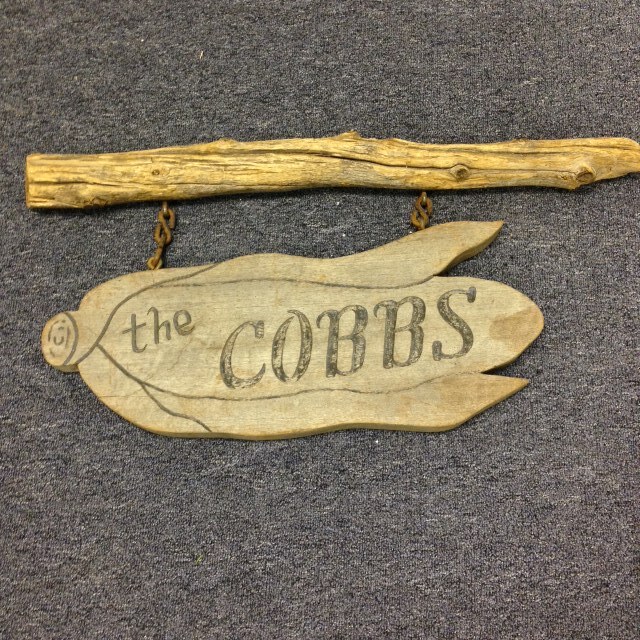 Look at this great carved sign for the Cobb family! 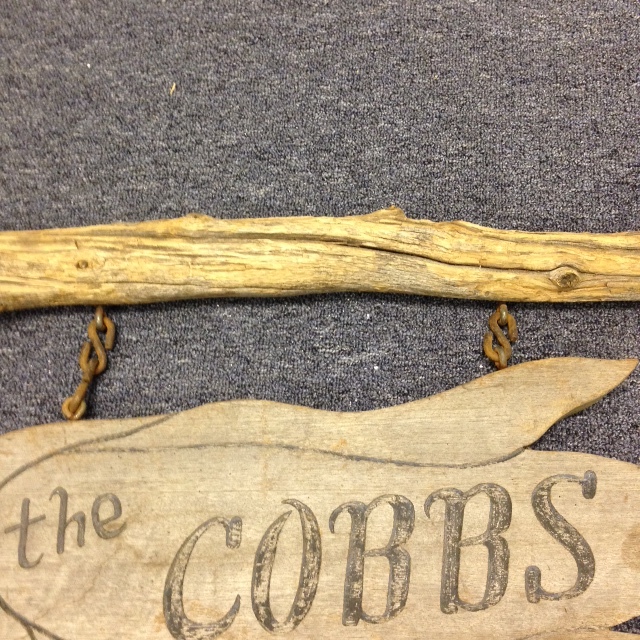 We love this rustic “The Cobbs” family sign, with the name carved into a wonderfully done corn cob! 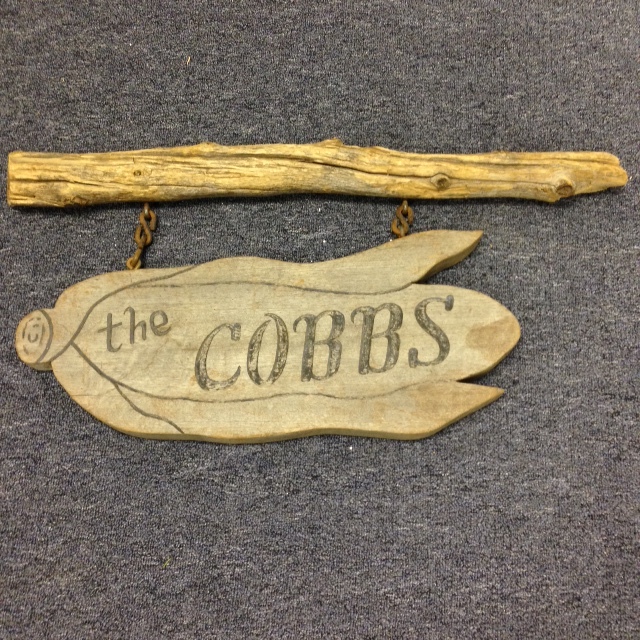 It’s weathered perfectly as you can see from both the front and back pictures, and would make a super cool gift for anyone with the surname of Cobb! Our hours do unfortunately vary depending on the demands of our day jobs (Linda is a social worker, and John is the post press supervisor at the local newspaper), whether we are exhibiting at a show (rare nowadays), or are attending an auction we just don’t want to miss! If you are coming from a distance, your best bet may be to call us first to make sure we’ll be there, or to make an appointment. We do try to post our hours each day on the shop’s door, and on this blog. 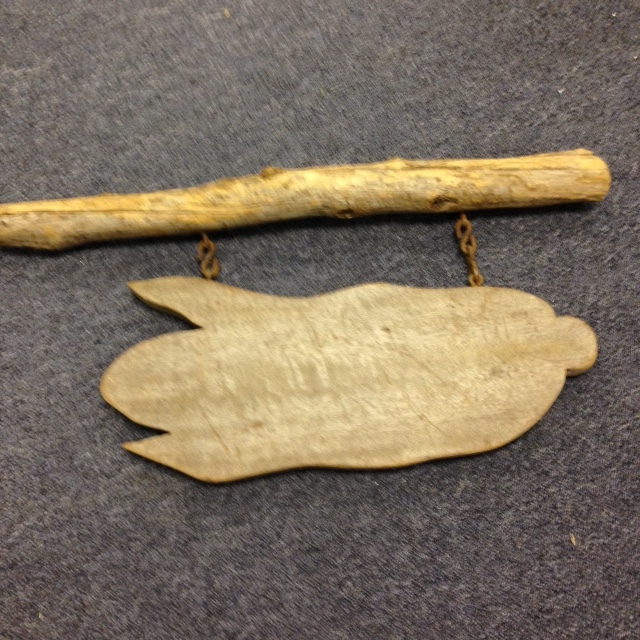 … Papa’s Thrift Shop, 5 Park Street, Lewiston ME (just around the corner from our 189 Main Street location). 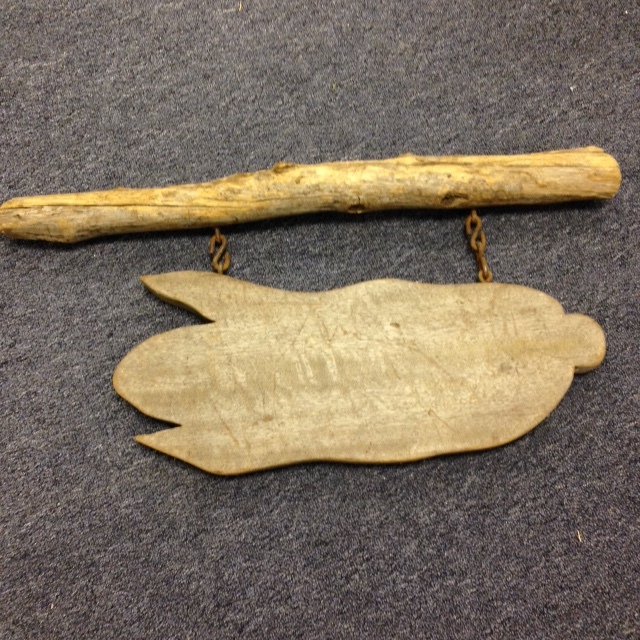 Papa’s is the thrift shop & wholesale division of Heritage Collectibles. The thrift shop is generally open Mondays, 12-2, Fridays & Saturdays from 12-5. Beginning in October, the hours for wholesale buyers (with valid state resellers certificate) will be the 1st & 3rd Mondays from 10 am -12 noon, and the 2nd Wednesday from 6-8 pm. Contact Linda at 207 740 2247 FMI. 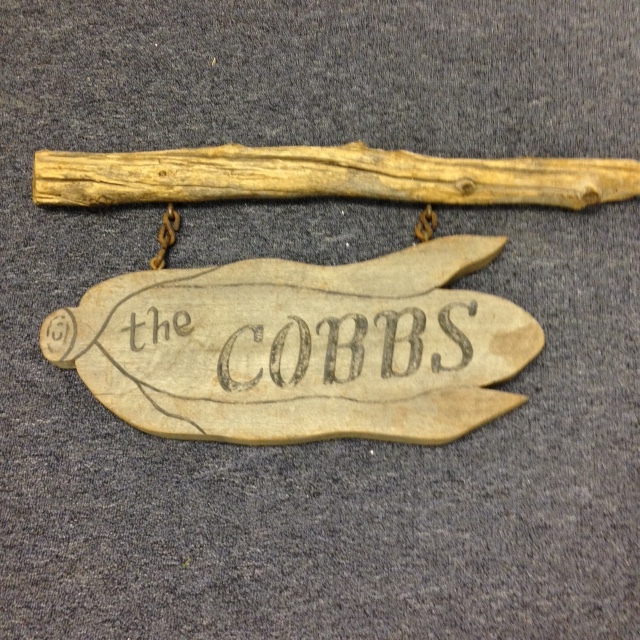 … Cabot Mill Antiques, Fort Andross, Brunswick ME (display case #90). Open 10-5, 7 days a week. 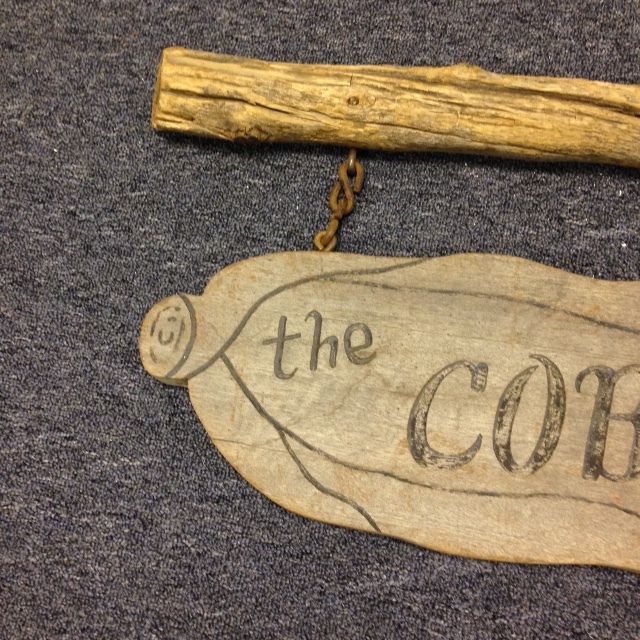 This entry was posted in Signage - Wood & Metal and tagged Americana, art, Cobb, corn cob, Heritage Collectibles, kitsch, rustic, signage, surname, weathered. Bookmark the permalink.